I just collected the new tracker, careeach brand. Heart rate sensor is the same flashing green light type. When the appointment website will be up again? New season using heart rate tracker is for all participants. Is it continuous heart rate monitoring? Or need to manually start and stop it? and where you collect it? Thank you. oh means if i lost previous season de can collect again? okay just checked the website...thanks! Got watch today both at singpost and shopping mall, both place give careeach watches. Able to sync step but not able to sync heart rate. Hopefully it is either my watch problem (then I need to go and change) or they will need to update their app. Used the website appointment page when it was still up, collect from Singpost. The hpb app can sync heart rate data but it does not show in the app. They haven't roll out the heart rate view yet, need to wait for app update. You need to start it if you want to track, it is not on by default. You can leave it on continuous. Instruction manual says it uses PPG optical sensor. I really hope it can sync eventually bc few days ago I use the tempo once I sync, the result will show straight away under history heart heart rate, but today I use the careeach, I on the heart rate for 15 minutes and off the heart rate and try to sync, only steps are shown and under history heart rate, nothing is shown. Last edited by ngopti; 24-09-2018 at 02:56 PM..
can i know which hpb app can sync the HR data? 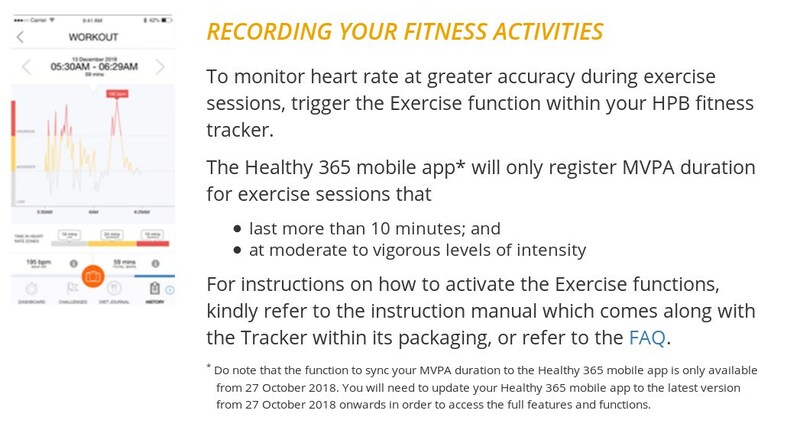 i dont see anything in the healthy365 app. ngopti and ixora2007 like this.